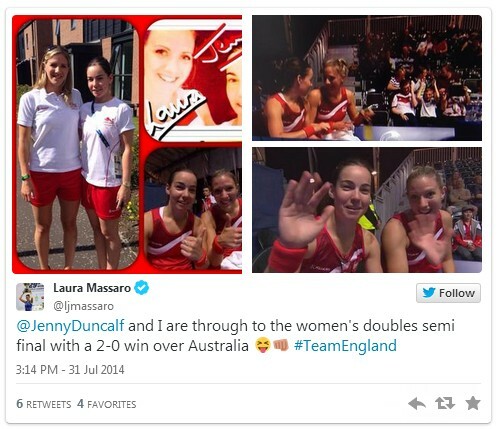 The top four seeds in each of the three doubles events made it through to the quarter-finals after two days of pool play. 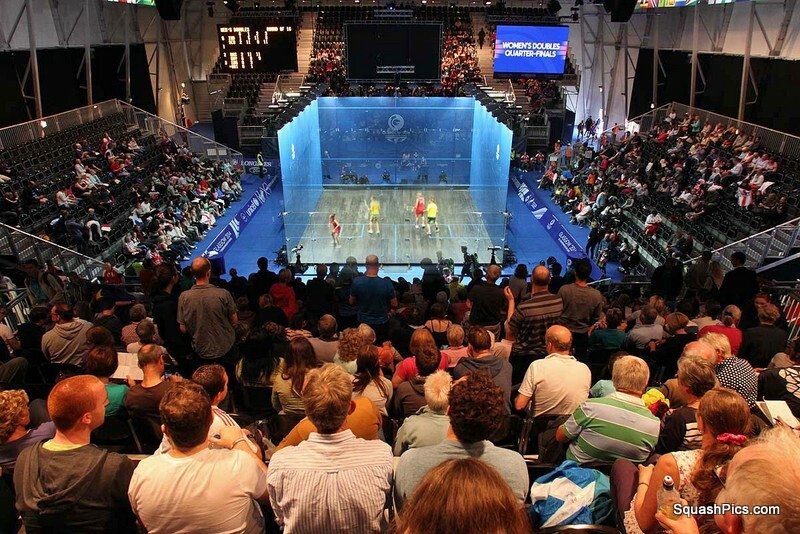 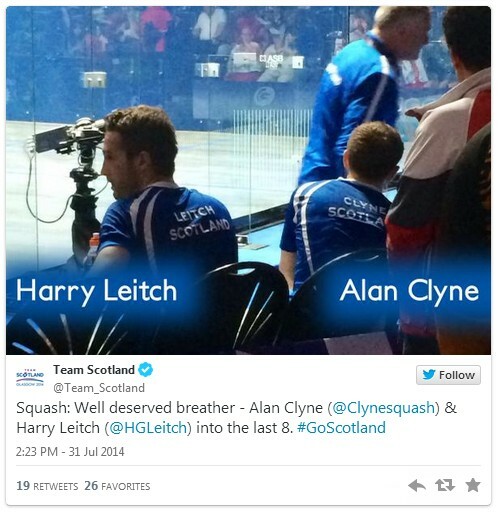 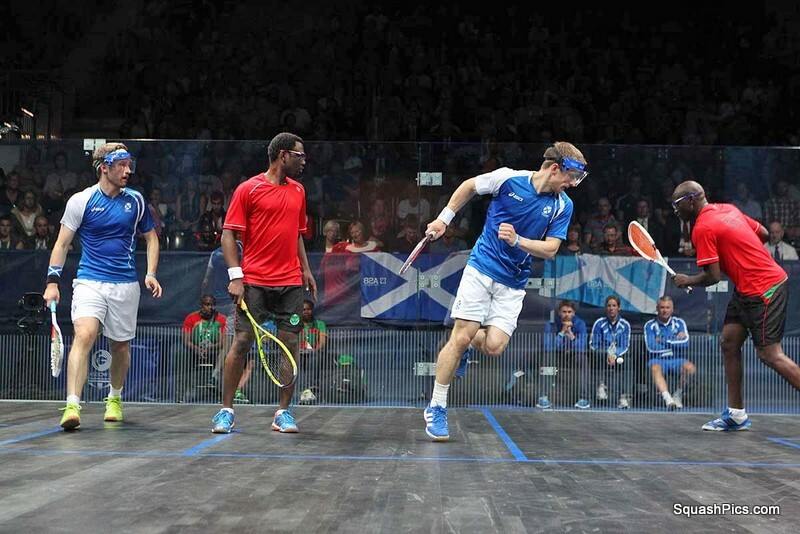 In the men’s event there is heavy home interest in the last eight with two English, two Scottish and one Welsh pair winning their last sixteen matches. 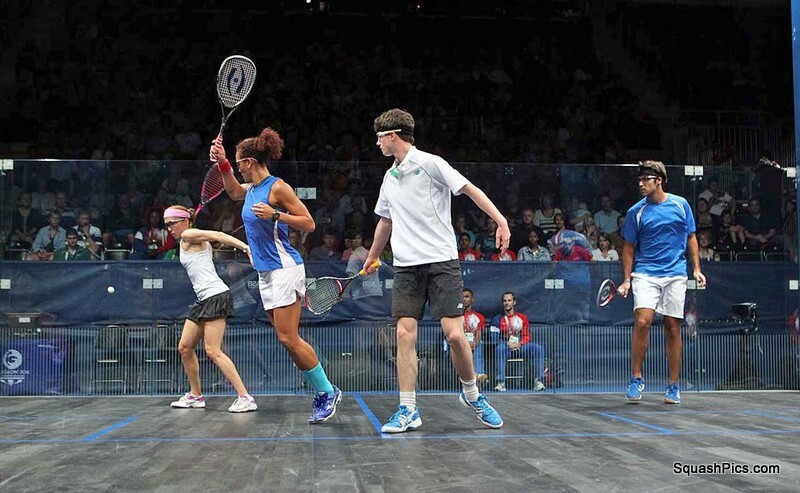 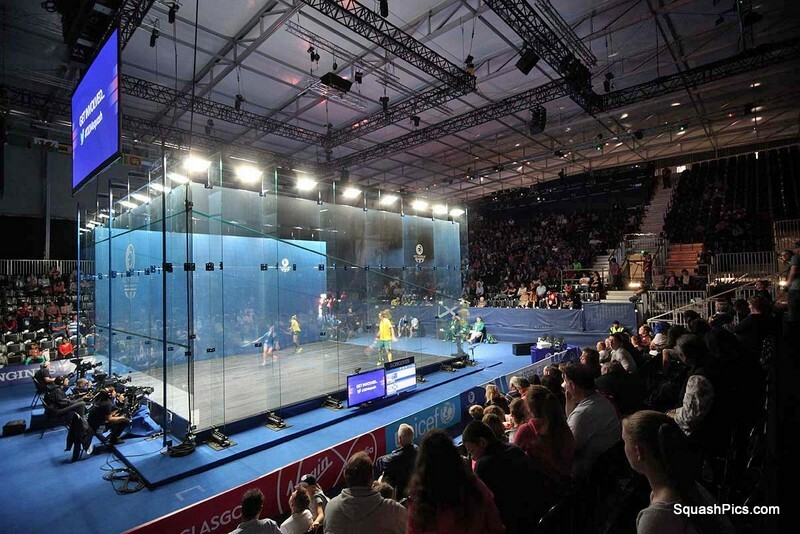 The biggest casualties were Kiwi fifth seeds Campbell Grayson and Martin Knight, who lost out in straight games to compatriots Lance Beddoes & Paul Coll, the 11th seeds. 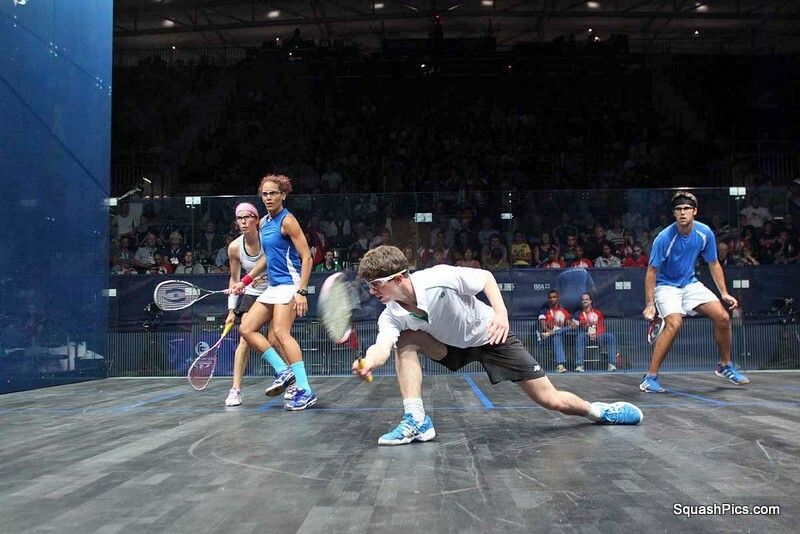 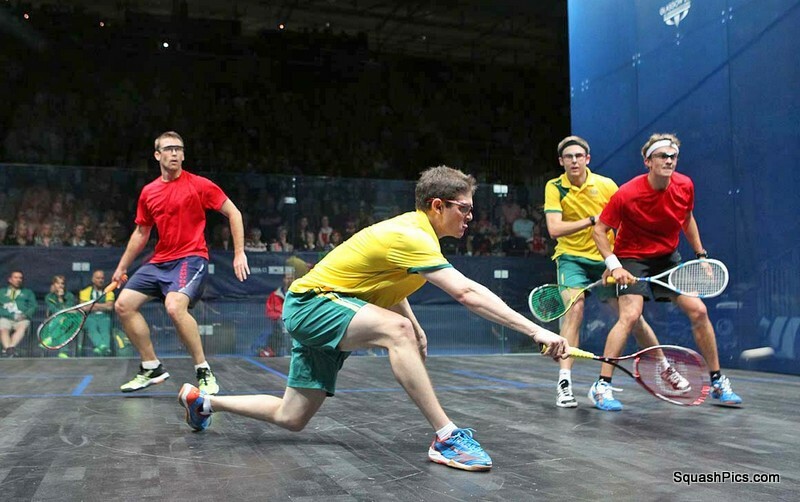 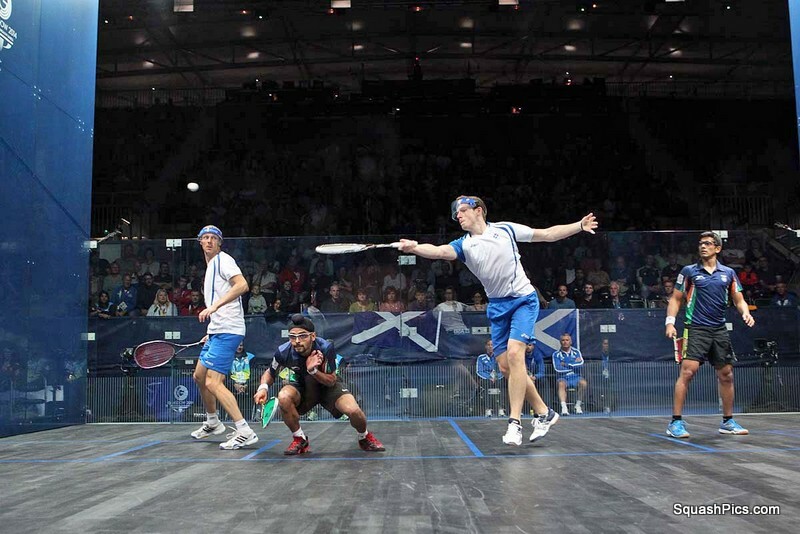 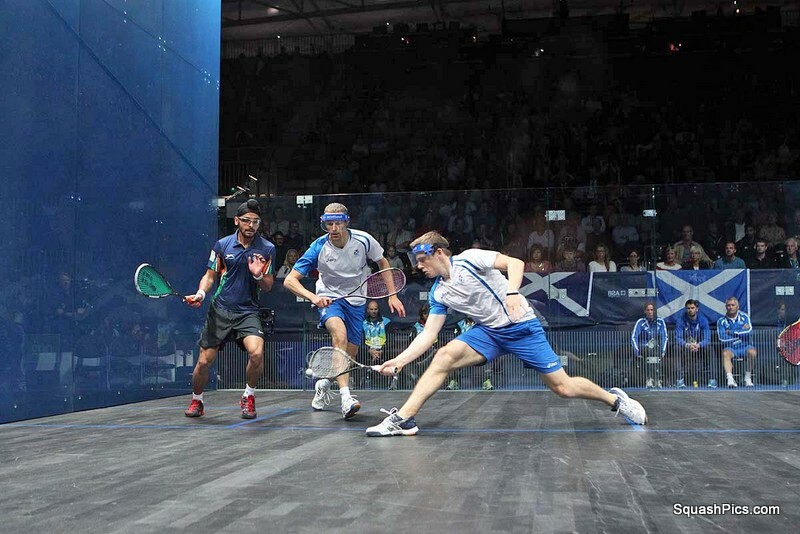 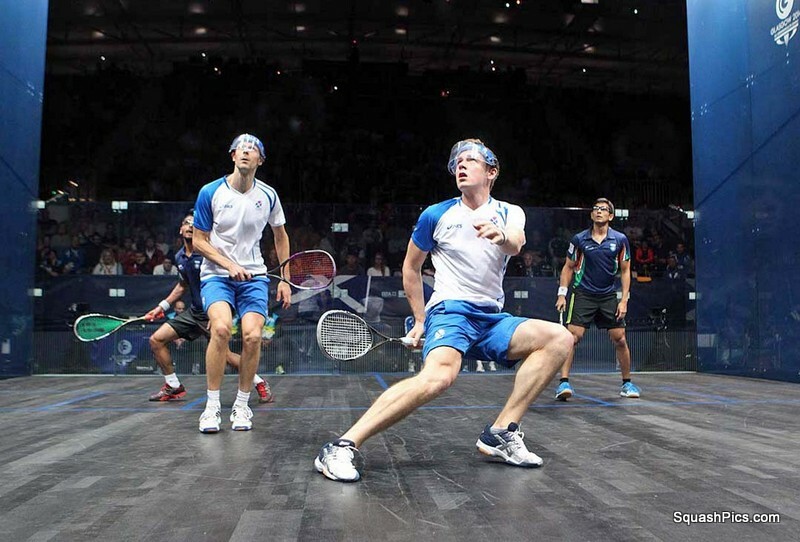 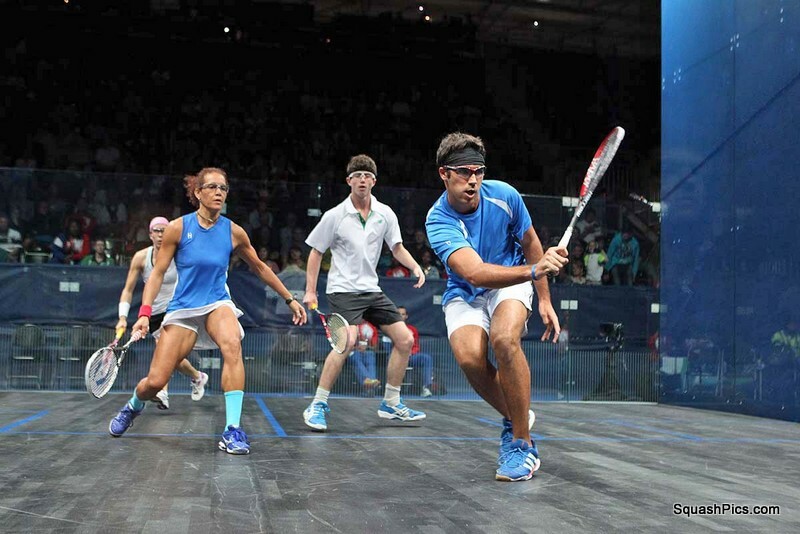 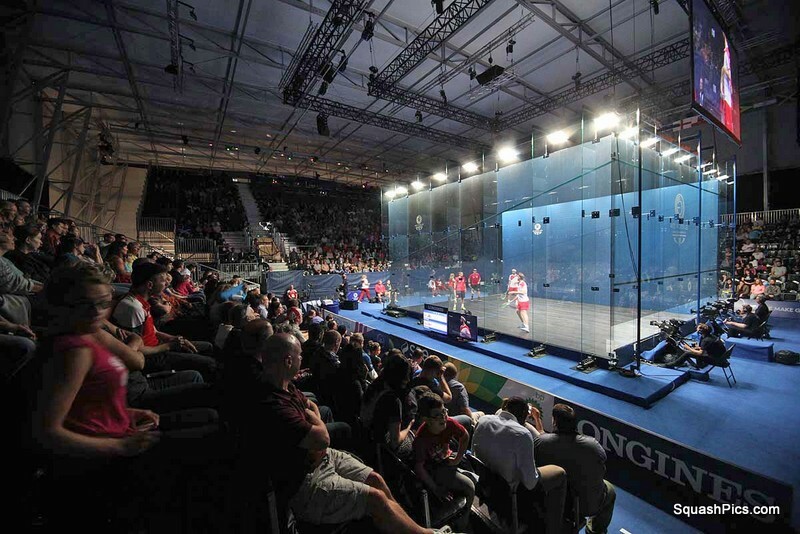 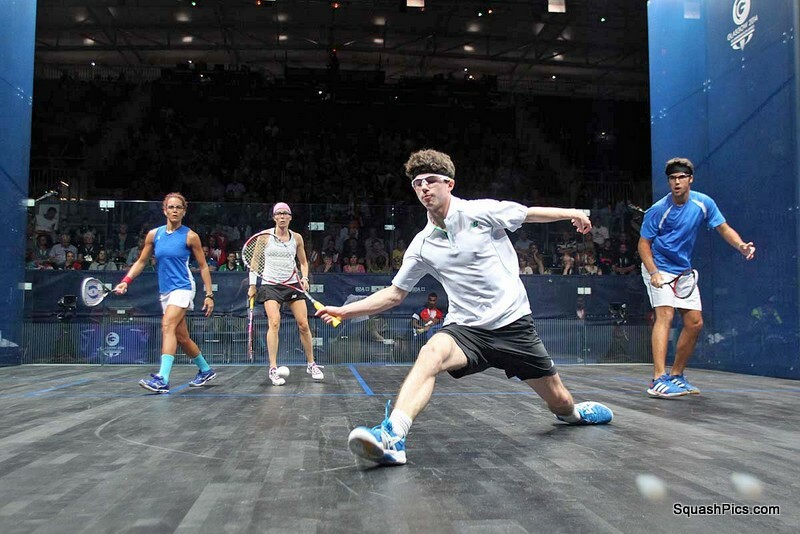 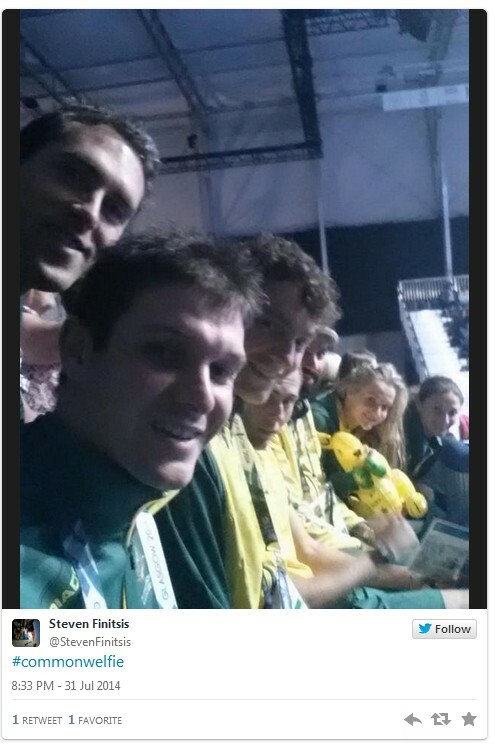 Welshmen Peter Creed and David Evans also upset the seedings – just – as they beat Malaysia’s Valentino Bong and Ivan Yuen. 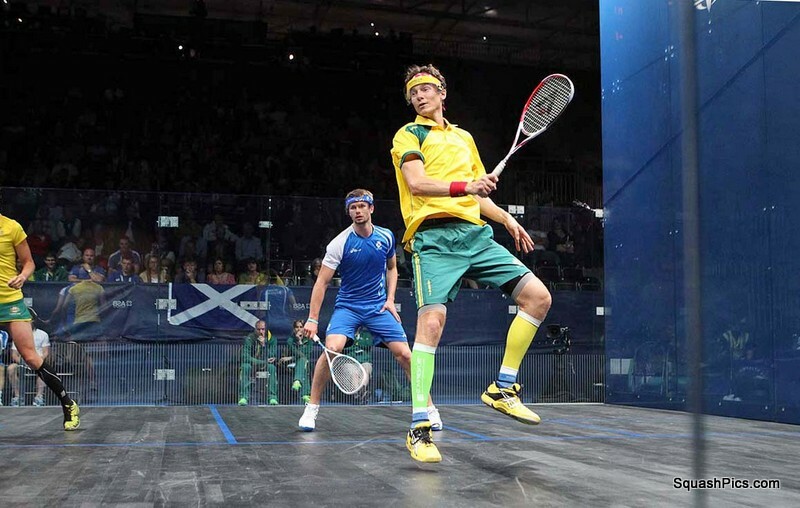 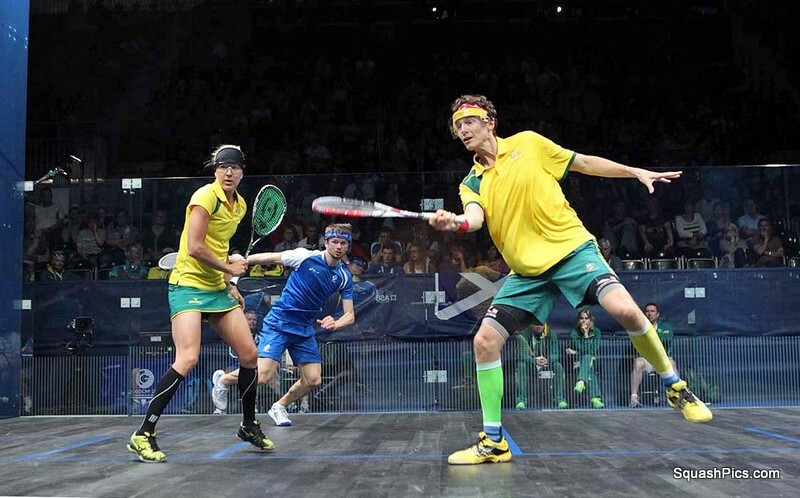 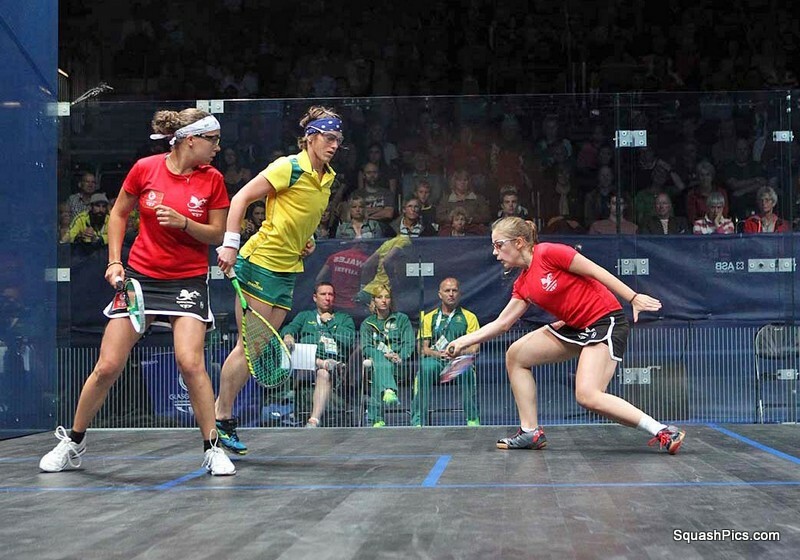 The Australian pairings look strong, and two of tomorrow’s quarter-finals will be Scotland v Australia affairs. 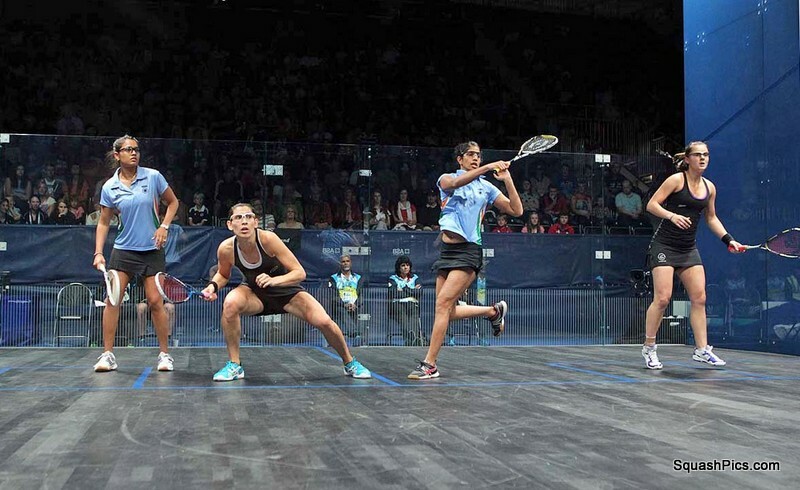 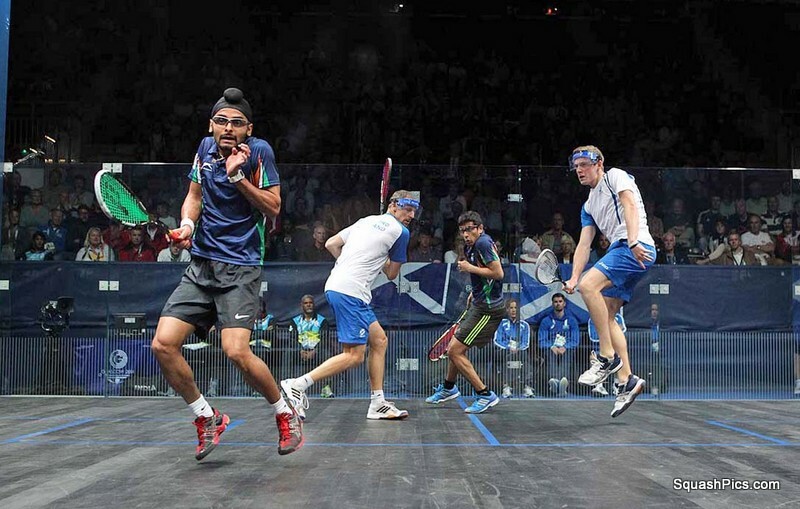 The top seven seeds are through to the mixed quarter-finals, with India’s Joshana Chinappa & Harinderpal Sandhu causing the only upset as they beat 8th seeds Arnold & Adnan. 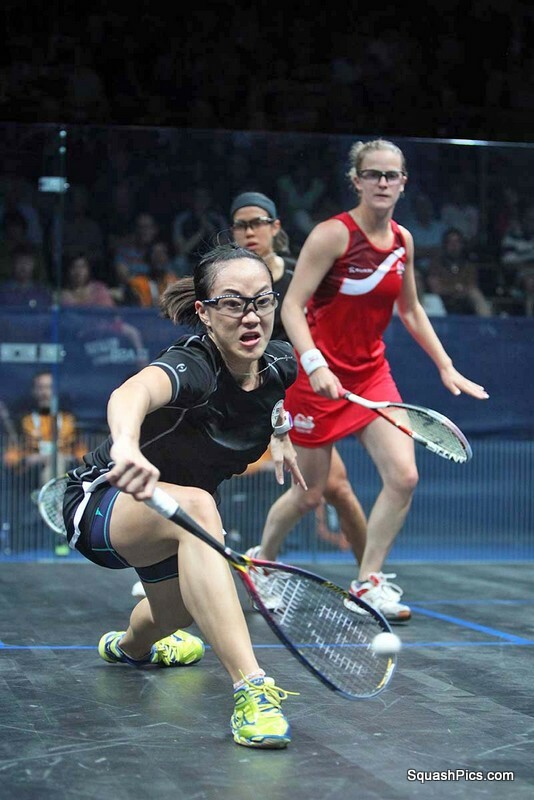 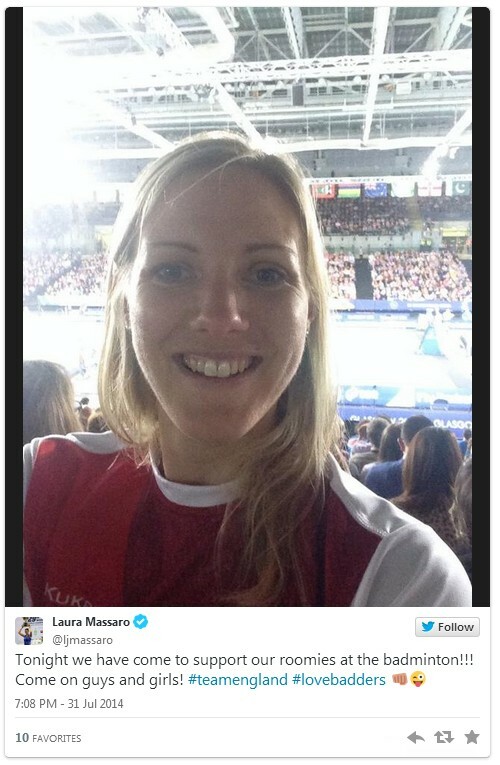 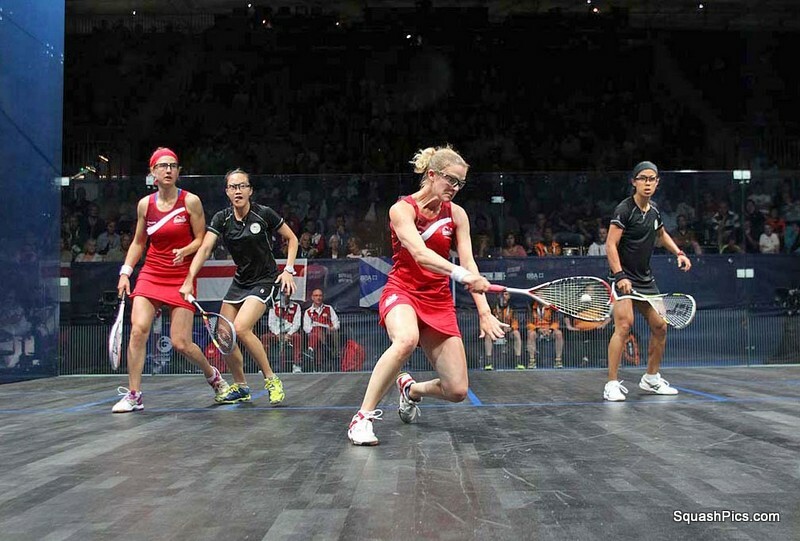 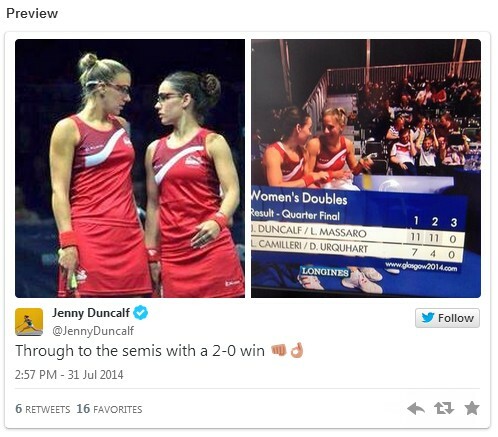 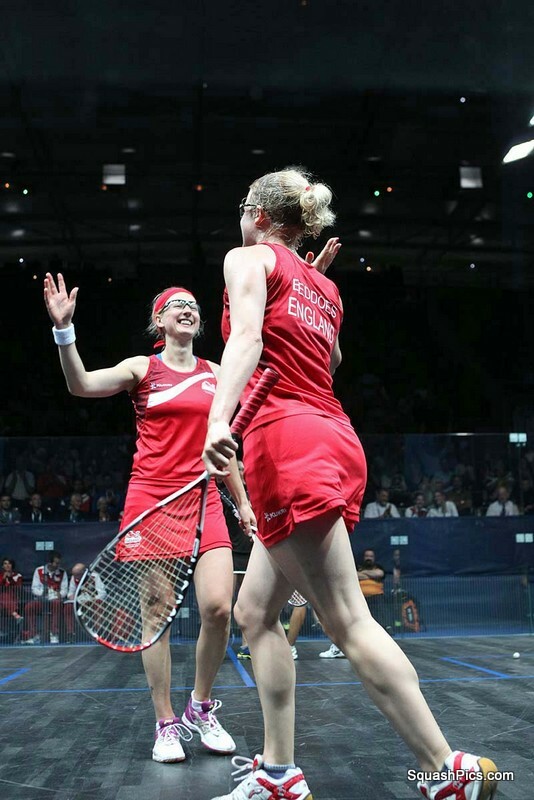 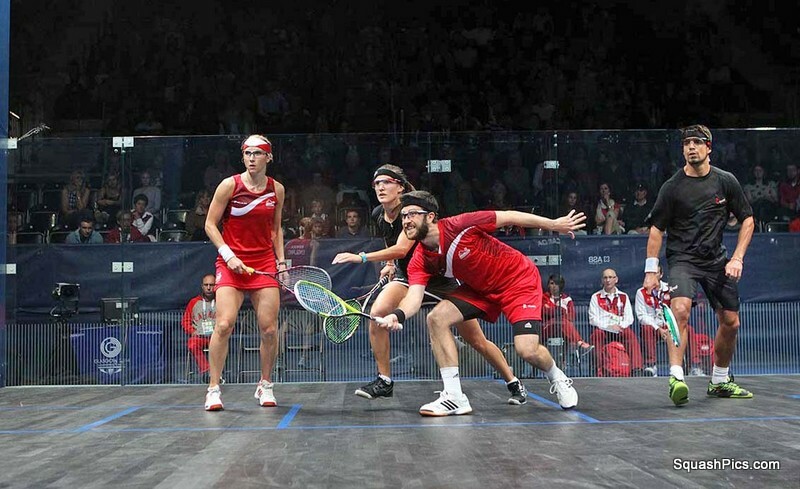 England are guaranteed a Gold medal in the women’s event after wins by Jenny Duncalf & Laura Massaro and Emma Beddoes & Alison Waters – the first and third seeds – set up an all-English semi. 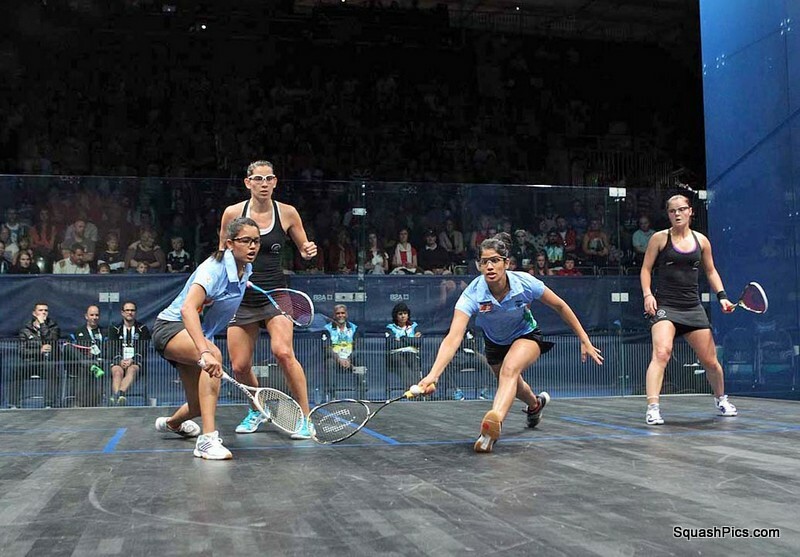 The other semi-final will be between Australia’s second seeds Kasey Brown & Rachael Grinham and Indian pairing Joshana Chinappa & Dipika Pallikal.